You are currently browsing the The Pet Product Guru blog archives for May, 2009. A lot of people are animal lovers, but they just don’t feel they have the time to be a responsible pet owner. Seriously thinking about how much time you have to dedicate to pet ownership is an important step that every potential pet owner must consider before purchasing an animal. But don’t dismiss the opportunity to be a proud pet owner simply because you are hesitant to complete some unpleasant tasks such as litter box cleanup. 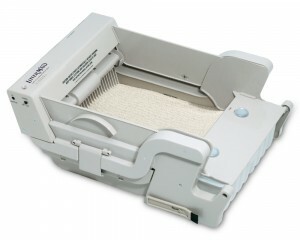 If this is the only thing standing between you and cat ownership, don’t forget that you can purchase a self cleaning litter box. Minimizing the amount of time you have to spend with this unpleasant task, hopefully these devices can convince a few more people to make the commitment to a new family pet. Also, don’t forget that the Humane Society or any other kind of animal shelter is a great place to find your next pet. Not only will you get your pick of adorable kittens, but you’ll also be helping save an animal that needs a loving home. With Hollywood starlets always carrying their pets around with them, it’s becoming increasingly trendy to have a teacup poodle safely stored away in your handbag. And if you’re the proud owner of a small dog, this might be a desirable option. It’s also great if you take your pet with you when you travel. But you aren’t necessarily out of luck if you have a slightly larger dog. 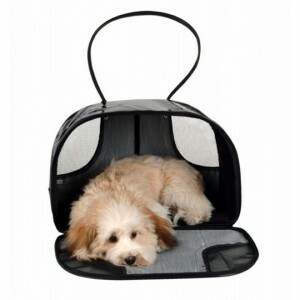 For these pets, there is a wide selection of larger pet carriers. While you can’t carry around a German Shepherd or Great Dane, a midrange pet carrier does make it possible to carry dogs over five pounds. A pet carrier also has some distinct advantages over your standard handbag. For one, handbags are not specifically designed for pet transport. As such, a pet could be uncomfortable or even slightly injured on something like a sharp or jagged zipper. But don’t worry. You don’t have to abandon the fashion expert in you. These pet carriers can offer both attractive styling and total pet comfort.